With quality and affordability the cornerstone of Acklam Hall, it’s easy to see why it’s growing in popularity. In addition to the widely-acclaimed restaurant Acklam Hall boasts a range of stunning rooms to suit every need. Climb the magnificent staircase to the first floor and you’ll find conference facilities for up to 120 guests in the grand Drawing Room. Take a left turn on the ground floor and there’s the stunningly seductive Boudoir which offers private dining for up to 12 people. And let’s not forget The Parlour, an impressive room that lends itself to a range of uses and can seat 28 comfortably. So, whether you’re looking for outstanding facilities for your business or a great place for a family get-together, this beautiful Grade 1 Listed building has it all, including the wow factor! Since opening the doors last year the highly professional friendly team have designed and delivered bespoke events for some of the largest organisations in the Tees Valley – from meetings in the dedicated Boardroom, to team training days, brainstorming brunches and regular networking events. General manager Michael Jones said: “As every corporate event is different we train our staff to listen to the individual needs of our customers and then not only deliver it, but to exceed their expectations. “Our role is to make sure every aspect of every event is carried out to exceptional standards, leaving our clients free to concentrate on their business of the day. Businesses and organisations of all sizes have already enjoyed the services provided at the hall. BNI Premier is a business referral organisation that meets at Acklam Hall every Wednesday morning to pass business to each other. 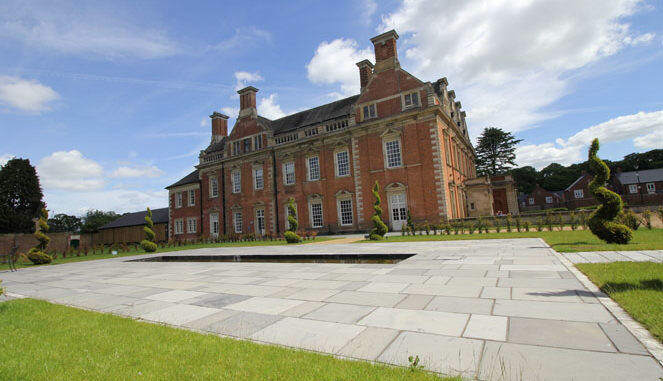 John McDermottroe, chapter president said: “Acklam Hall provides incredible value for money, the service is always outstanding and as it’s just a short distance from the A174 and the A19 it’s easy to get to for our members who travel from across Teesside and beyond. Peter and Caroline Skerry from PH Skerry were so impressed the first time they visited they’ve since used the hall for several family celebrations. Caroline said: “We’re very proud to have such a beautifully restored building within our community and we enjoy bringing friends from out of the area to visit there. “It’s the most beautiful place and we know we can rely on the team at the hall to deliver exactly what we want. Sixteen local companies loved the service at Acklam Hall so much they moved in and made it their business ‘home’ including an accountant, a financial advisor, a beauty therapist, an acting school and a cosmetic surgeon. All enjoy 24 hour access seven a days a week, off road parking, fully staffed reception facilities, use of the restaurant for informal meetings, monitored CCTV security, dedicated telephone lines and voicemail with remote access message retrieval, personalised call answering, mail and fax handling, communal kitchen areas and shower facilities. There is still one space available for anyone lucky enough to secure it.